Arranging commercial property insurance for your warehouse will minimise the risk to your business. With warehouse insurance, factors to take into account include covers against theft or a breakdown of any machinery. The other insurance to remember is employers' liability insurance, which is legally required in any commercial business if you have employees working in the warehouse in Brighton. Taking the time to consider these issues in advance will help you make the right choice when it comes to insuring your warehouse in Brighton. After finding your dream warehouse to rent, it is likely that you will want to make an offer in. Even if your initial offer on the warehouse in Brighton is rejected, negotiating with the landlord to come to a mutually acceptable agreement could still be possible, so make sure you keep trying. We love our users discovering their ideal warehouses and putting in a successful offer, and we hope your commercial property search in Brighton is going smooth for you. There are plenty of warehouses in Brighton, and it is important to stick to your set budget when renting. You can find a great rental warehouse in a range of prices, up to Â£250,000 per annum. Remember, finding your dream property in Brighton can be easy with our help. If you're searching for a warehouse to let in Brighton, asking yourself a few simple questions will make sure you choose the right one for your business. It will be important to bear in mind the size of the property your operation will require, for instance. If the warehouse is well located in Brighton, it could lower your business costs when it comes to transport around the local area. Whatever your question is, MOVEHUT will be able to help you answer them. It will be worth considering some additional fees when on the search for a warehouse to rent in Brighton. You should consider the running costs involved and the business rates for the property. Being aware of these factors will help you make the right choice when you're searching for a warehouse to rent in Brighton with MOVEHUT. The property location should be the initial factor to consider when renting a warehouse in Brighton. Having other local businesses nearby, like cafes and snack bars, can be useful for your staff, you should therefore take this into consideration when renting a warehouse in Brighton. You can find an ideally located warehouse to rent in Brighton with the help of MOVEHUT. 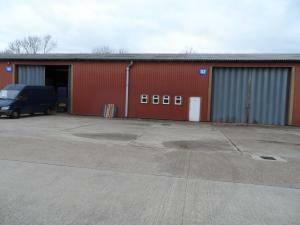 We always recommend you to view the warehouse in Brighton you are interested in before renting. The initial thing you should consider is the location of the warehouse property and whether it would suit your business needs. Ideally, you want to confirm in person that all the facilities in any warehouse you view are working correctly. Ensure your warehouse viewing is effective by remembering the tips from MOVEHUT. It is essential that you have a clear idea of your requirements when renting a warehouse in Brighton in order to make your property search effective. You may have an idea of the preferred location of the warehouse in Brighton, but you might not already have considered parking issues. Regardless of your requirements from the warehouse to rent in Brighton, MOVEHUT is here to help you find that perfect property that fits the bill.